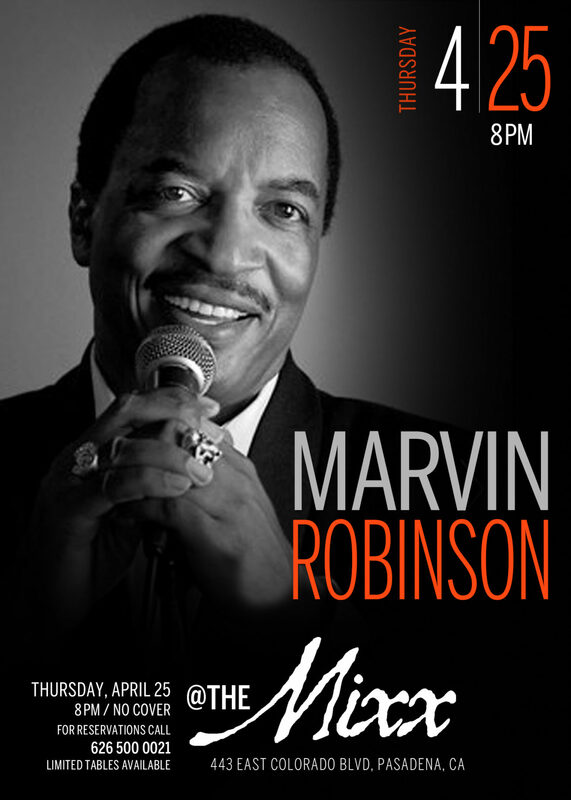 Join us for a night with a Pasadena local Marvin Robinson, an entertainer with Motown roots coupled with pure charismatic entertainment and show. The Mixx is a contemporary chic Pasadena restaurant, bar, and lounge located in the heart of the Arts District. © 2018 The Mixx. All rights reserved.